The program corrects itself when it moves closer, flies higher and changes its angle. 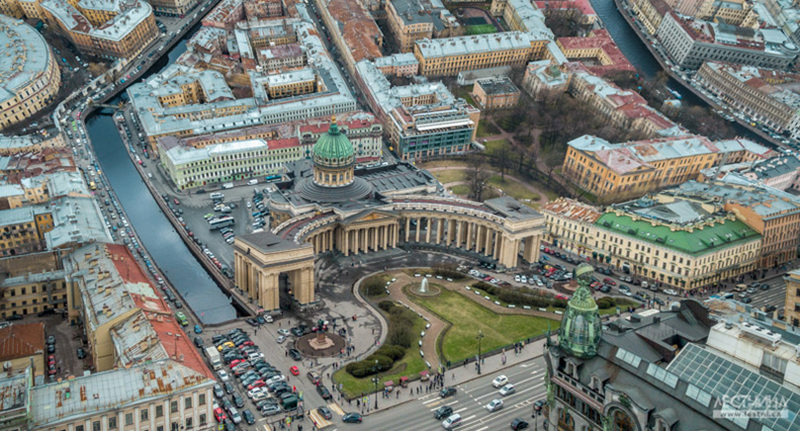 / Kazan Cathedral, St. Petersburg. 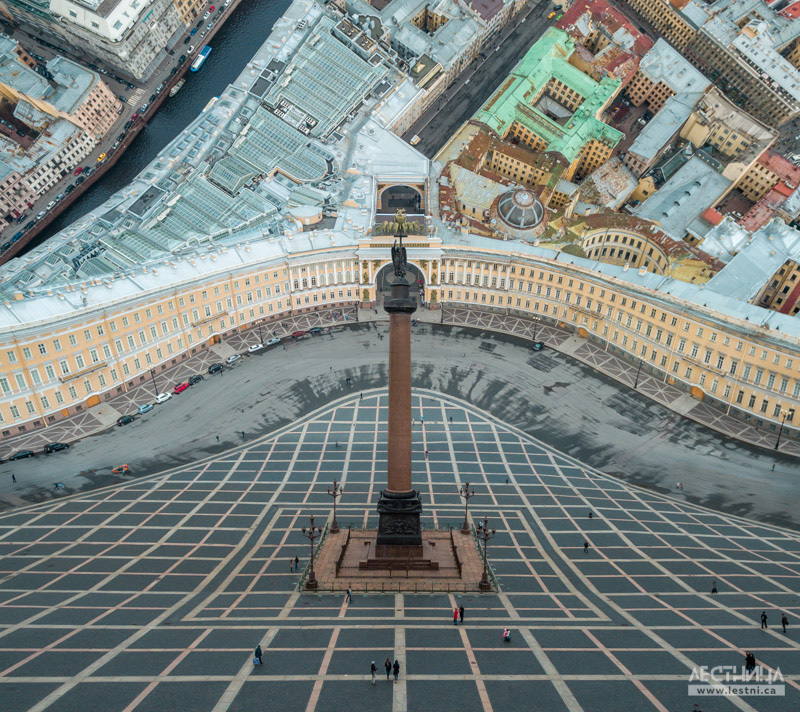 Photos in the style of the movie “Inception” will give you vertigo. Currently they have completed four photos of the city of Vladimir (115 miles from Moscow) and three images of St. Petersburg. 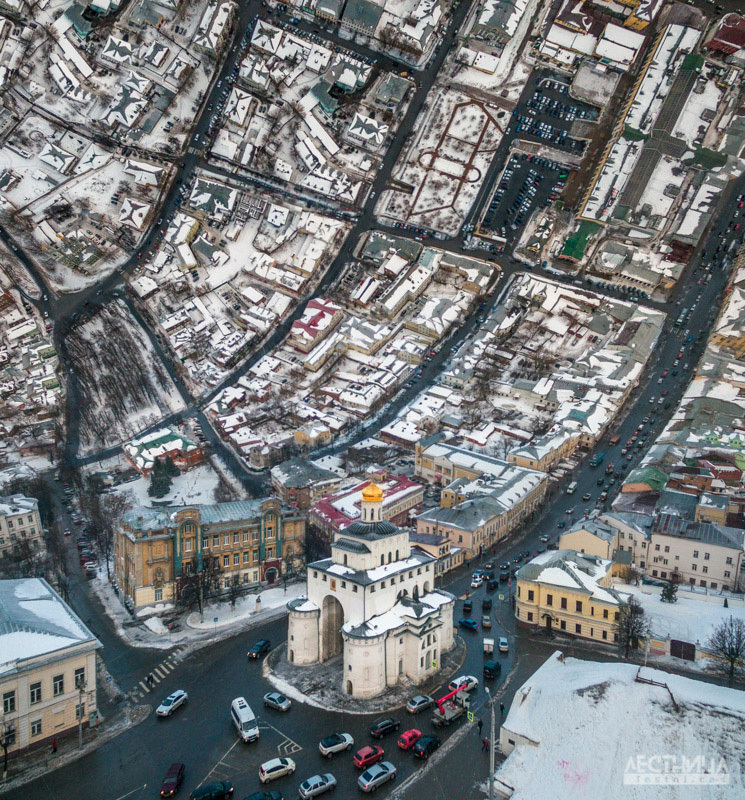 / View of Vladimir city. Post-production takes both time and persistence. 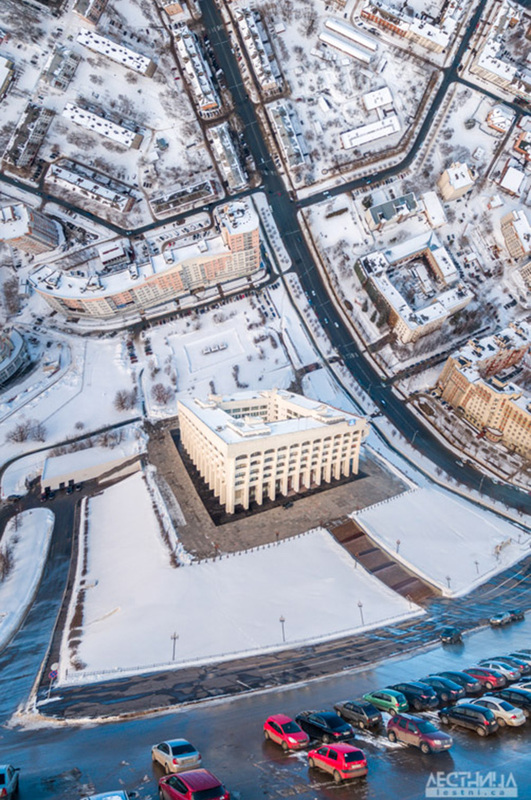 “We want to take photos of more Russian cities, because in each of them there is something worth seeing,” says Artem Prudentov, a member of the Lestnica team./ Palace Square, St. Petersburg. The company 'Lestnica' presents unique panoramic images, with bending horizons. 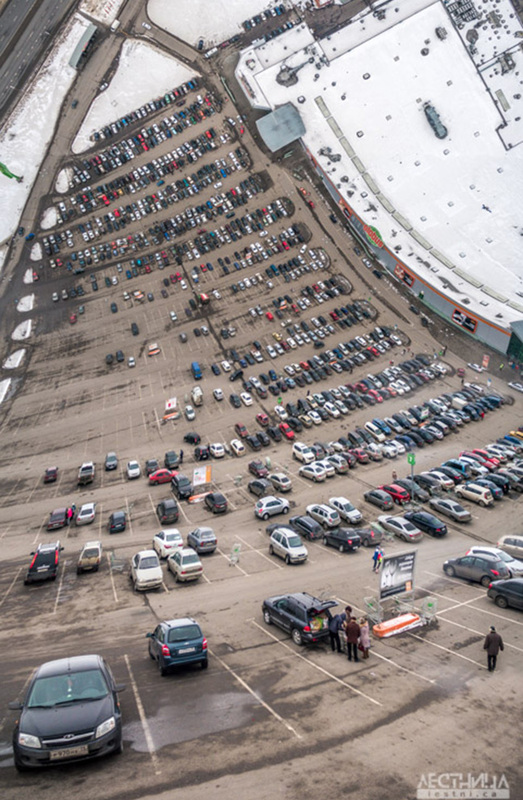 / Parking lot, Vladimir. These pictures are extremely hard to produce. The first 1,000 photos were thrown out before a perfect photo was taken. / Dormition Cathedral, Vladimir. 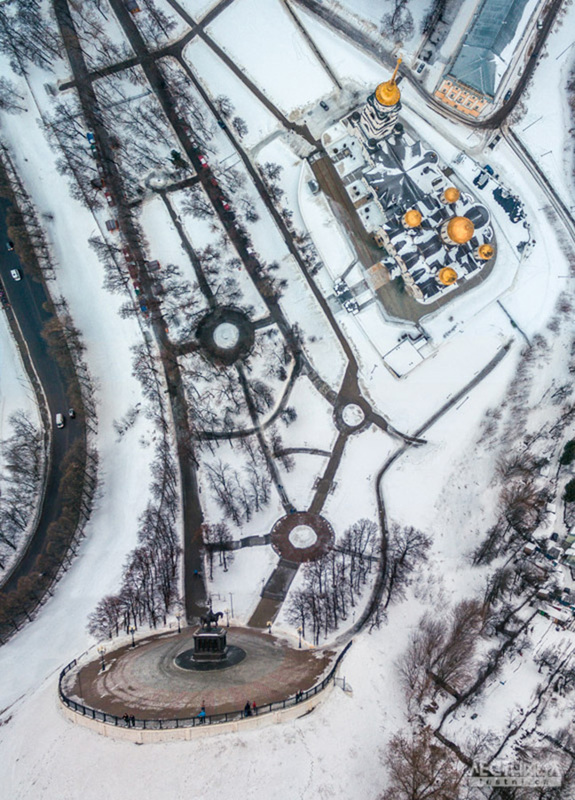 Working on a single image takes around 12 hours – the helicopter moves along a specific trajectory that allows it to take spherical pictures. / Golden Gate, Vladimir. The mathematical formula was processed into a program that calculates how the helicopter moves. 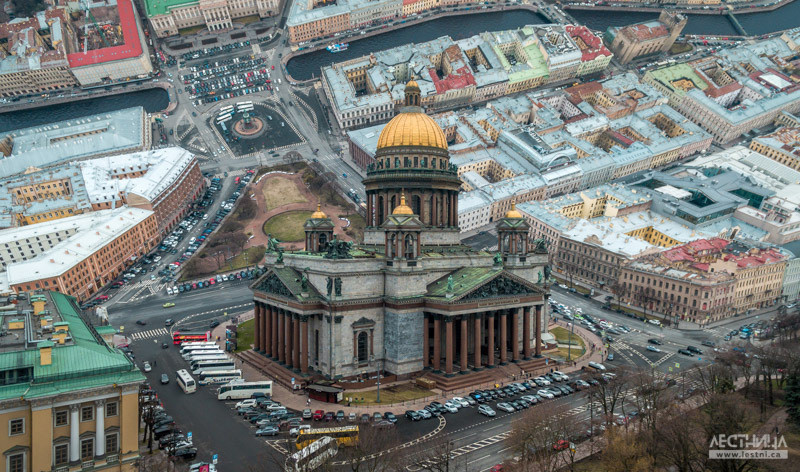 / Saint Isaac's Cathedral, St. Petersburg.